Surf simple, at the touch of a button. Wake surfing has become one of the most popular sports on the walter. So it's only natural the ever populer Gateway Series CS3 evloves to a surf edition. 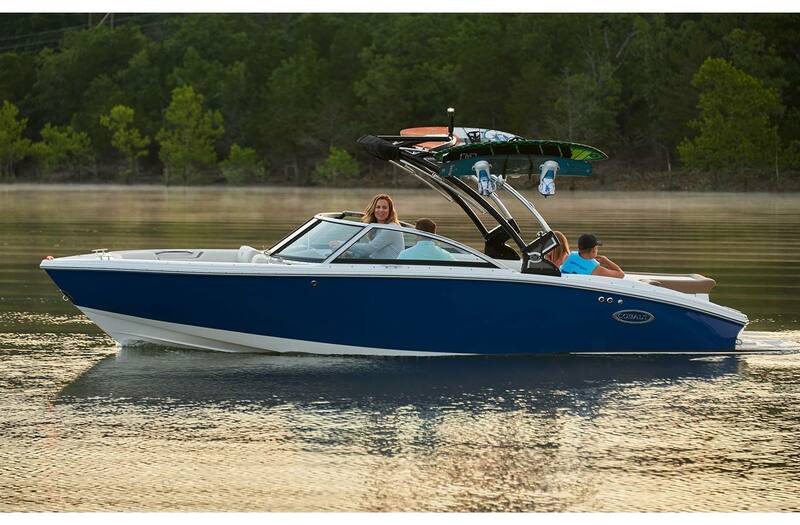 The Cobalt CS3 Surf with the TruWave System is the center point of your endless surf wave. 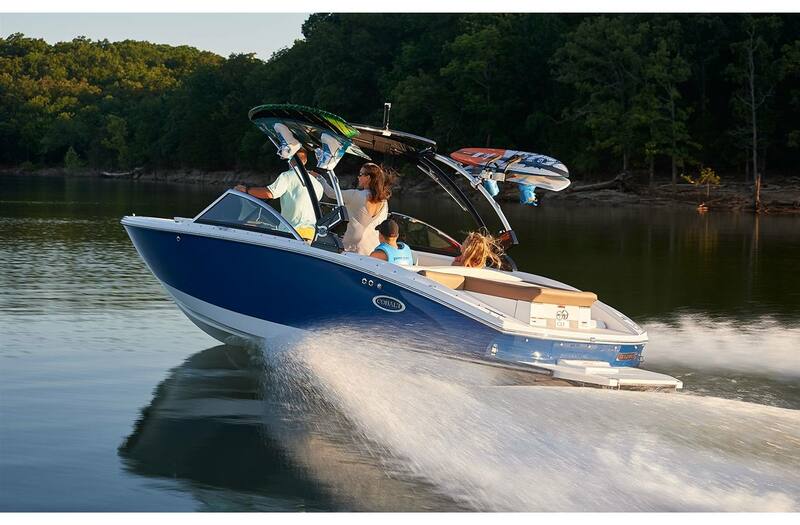 With the touch of a button the automated control surf system adjusts the bi-axis surf tabs to create the optimum surf wake either left or right. No need to transfer ballast load between tanks to achieve optimum surf wave. 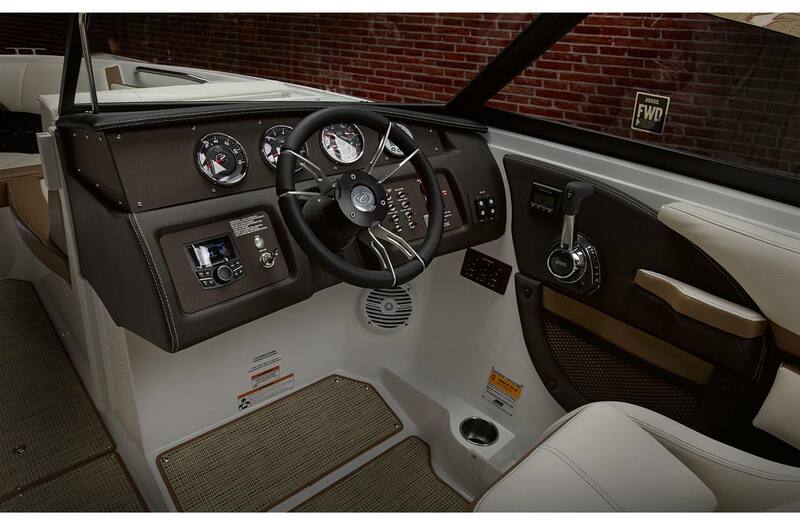 Step inside and check out the detailed interior including the oversized sun lounge with a walk-thru transom, Cobalt-branded coaming pads, intricate colored stitching details, and digital helm instrumentation. And the Bluetooth sound system with six speakers - yes, that too may cause your audiophile guests to awe in your direction. Compliments will keep coming as your crew marvels at the innovative qualities - making you look savvy, smart. The CS3 Surf is the perfect choice appealing to those who do not wish to compromise luxury or performance to catch the perfect wave.